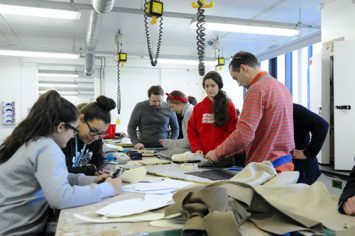 Banbury and Bicester College’s Club members gained an insight into the life of a real professional in their Masterclass with product and furniture designer William Warren. 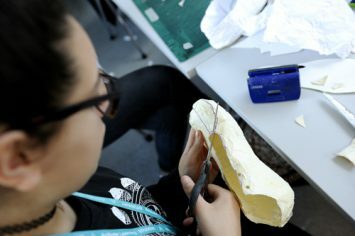 Having discussed the design process in general, from recognising a need to thinking about function and durability, the young people then had to apply it to their brief: to design and make a pair of shoes. 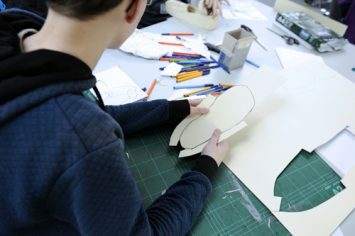 William inspired them with a slide show of footwear designs, and they then worked on sketches and made detailed prototypes from paper and card. 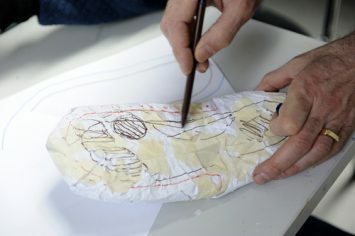 The Club members began to make their shoes out of leather and other materials – learning completely new techniques of leather cutting and stitching with specialist tools. 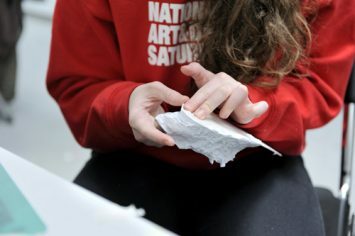 They were focused and productive, and thoroughly enjoyed their session, despite finding it more challenging than their usual Saturday mornings. 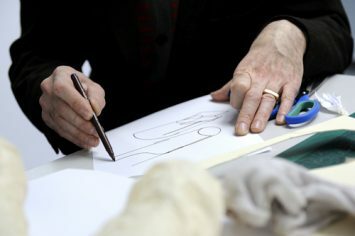 “William being a professional working in the industry stretched them further, giving them a taste of what an actual professional looks and acts like,” said tutor Danielle Sterrenburg.